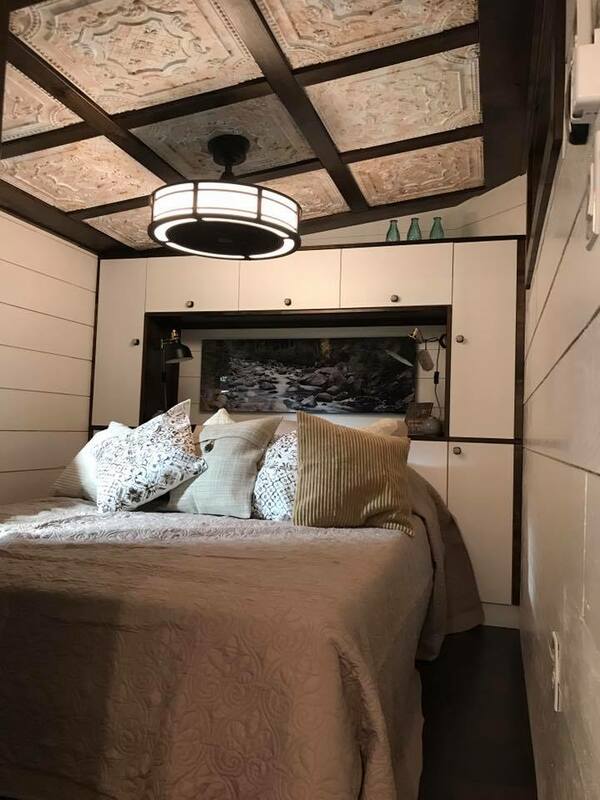 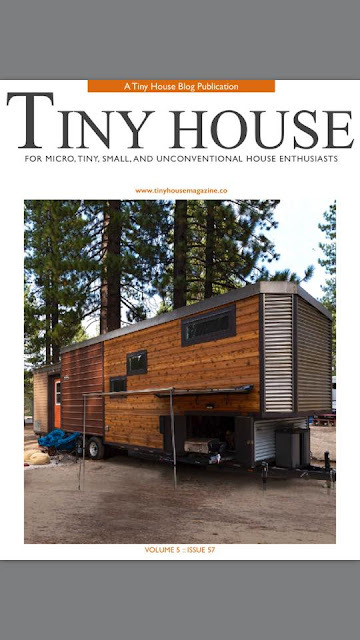 Not only is was the Empty Nester tiny home voted "Best in Show" at the Colorado Tiny House Festival this year, but it's also on the cover of Tiny House Magazine! 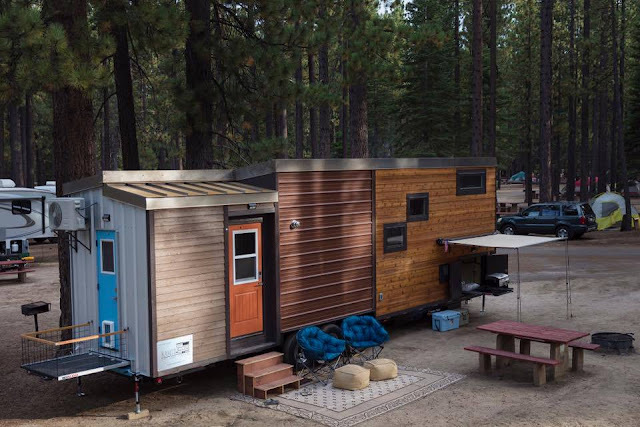 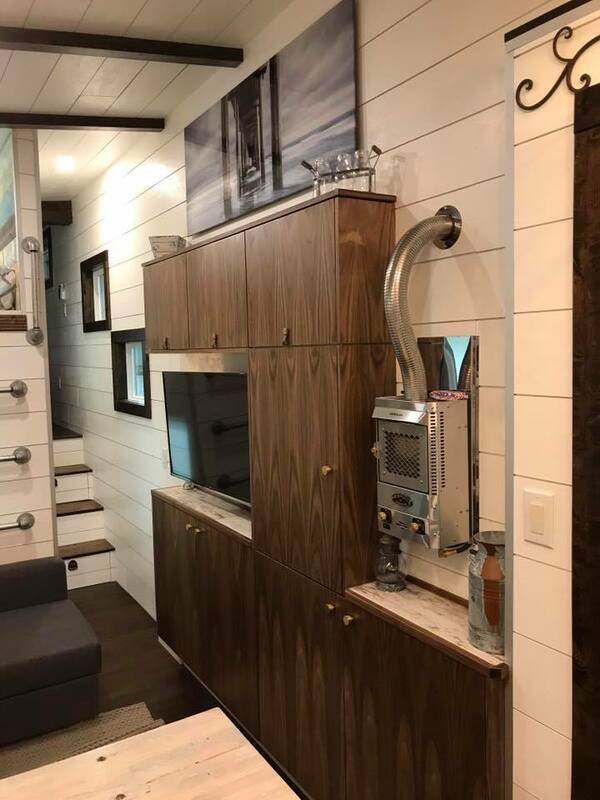 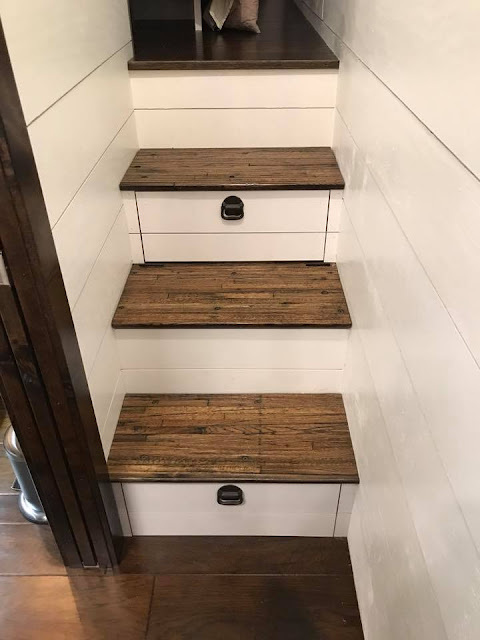 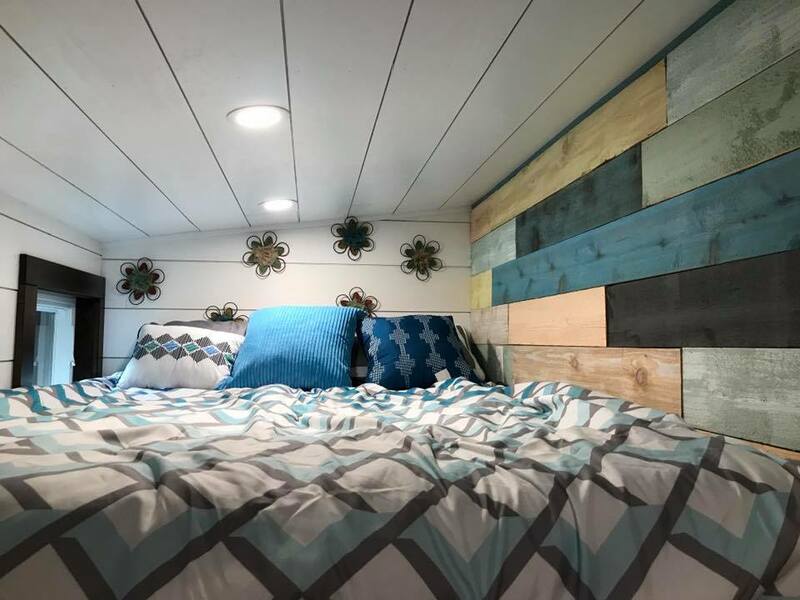 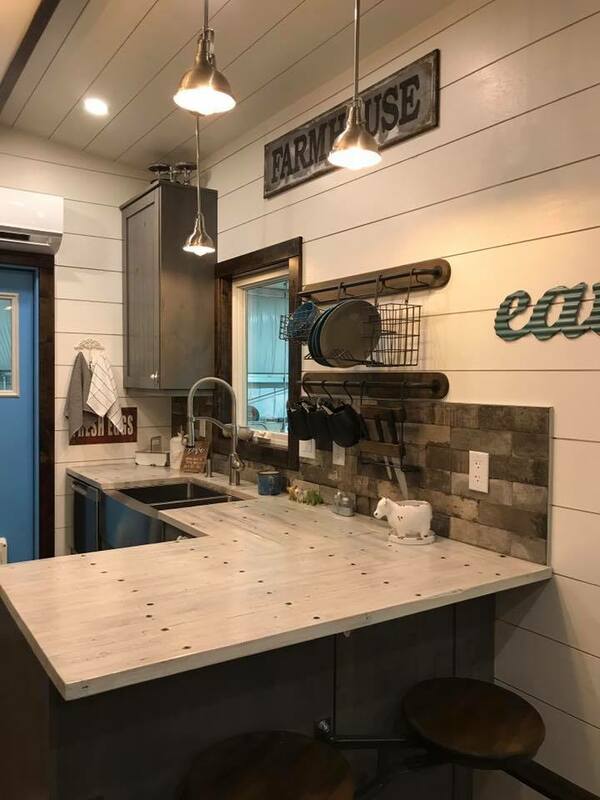 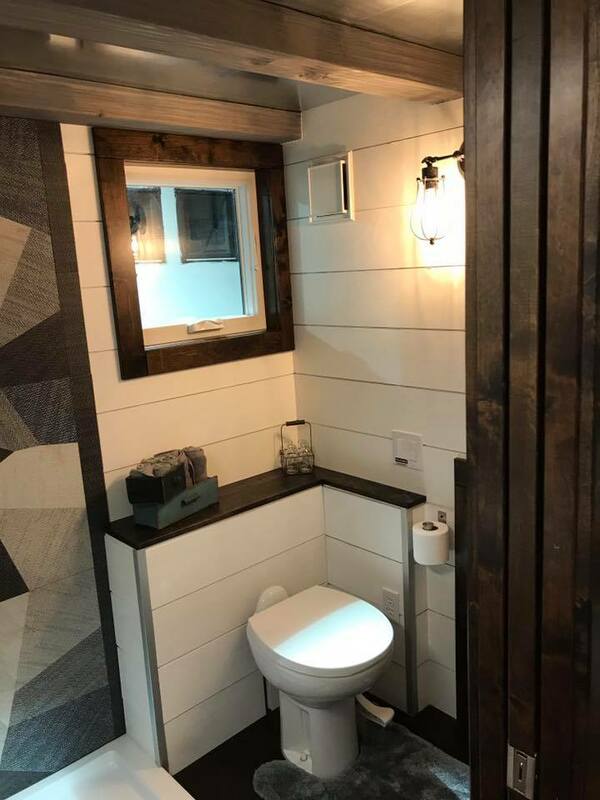 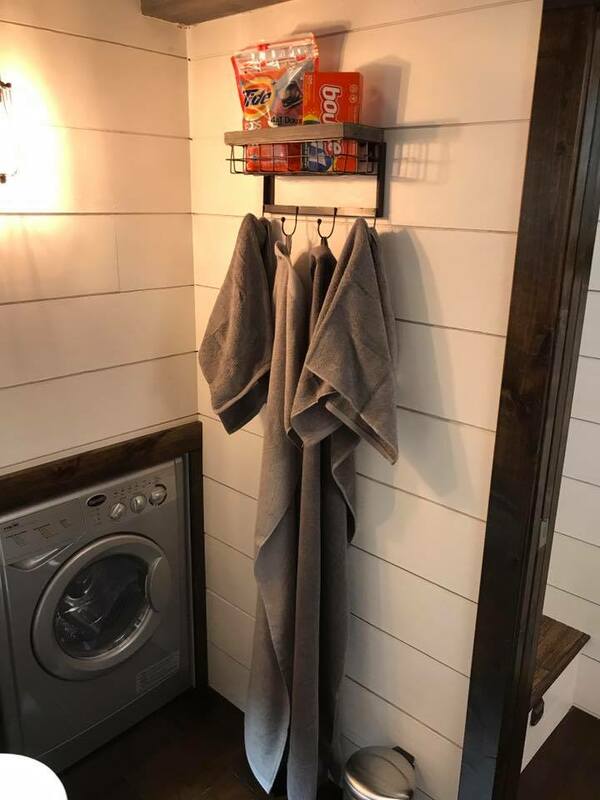 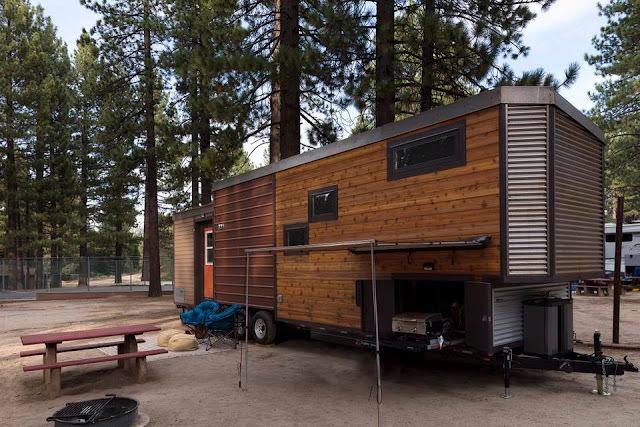 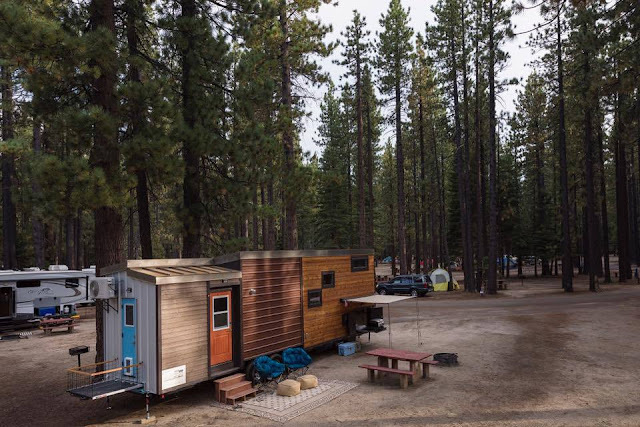 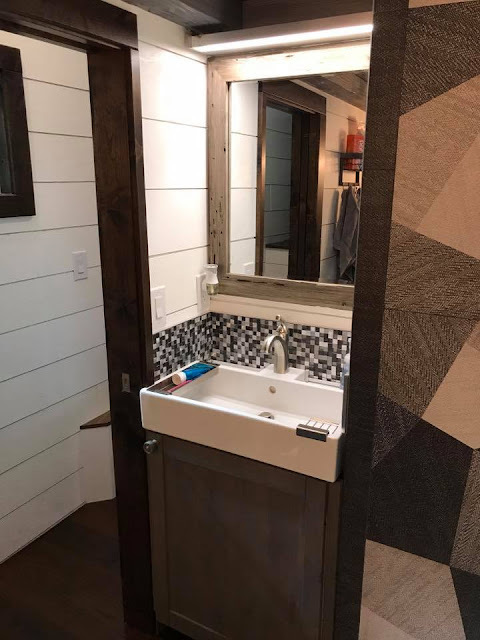 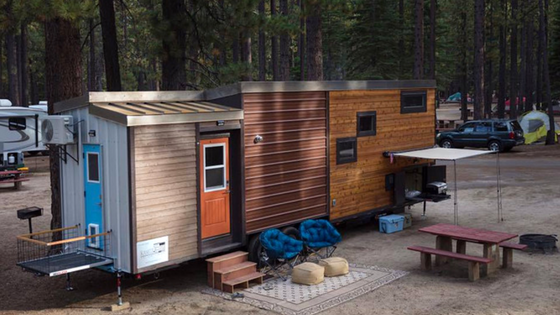 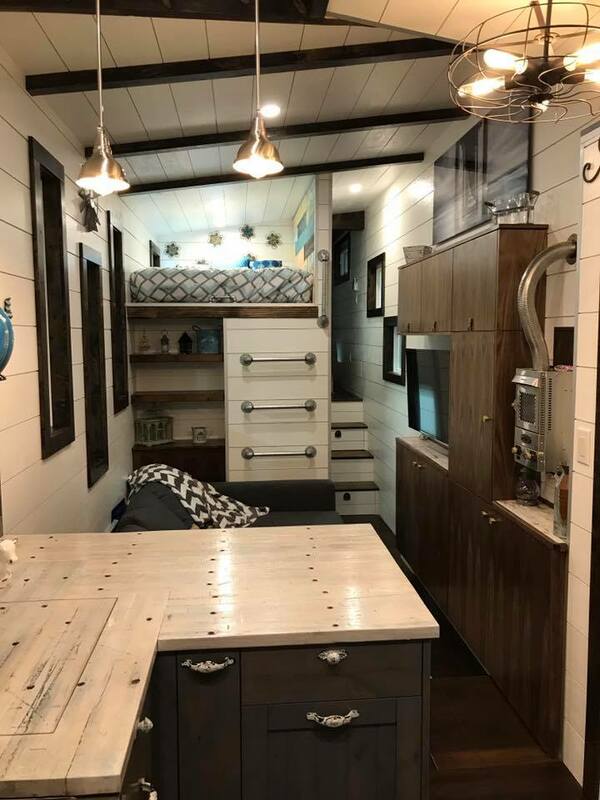 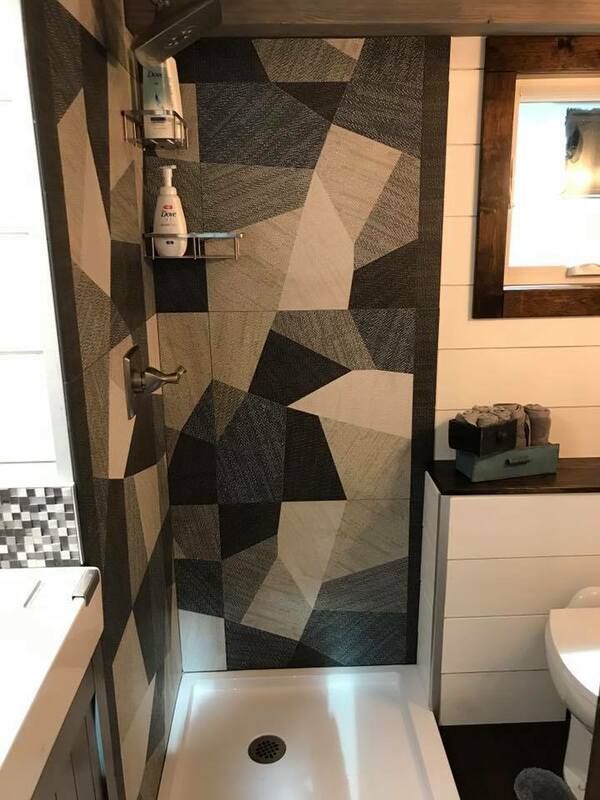 The one-of-a-kind tiny home was designed and built by Kamtz Tiny House Company, and features a colorful exterior of mixed materials using wood and corrugated metal. 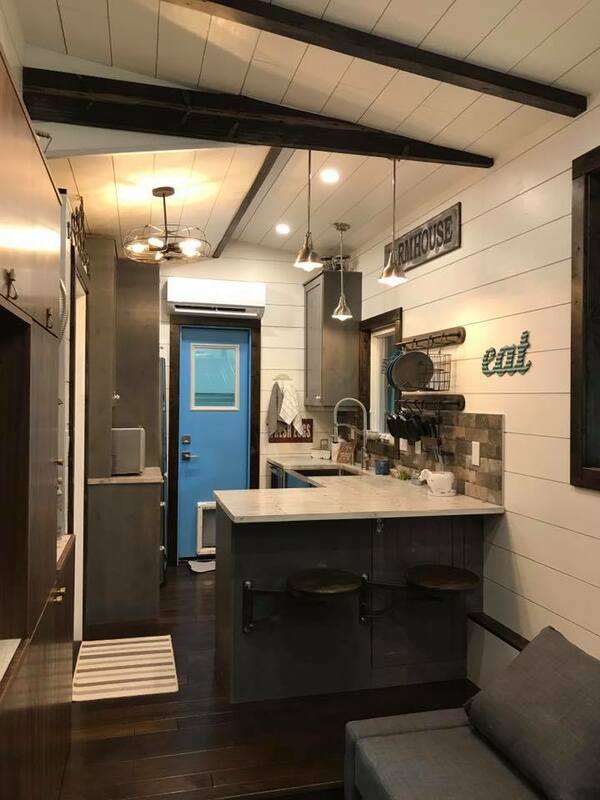 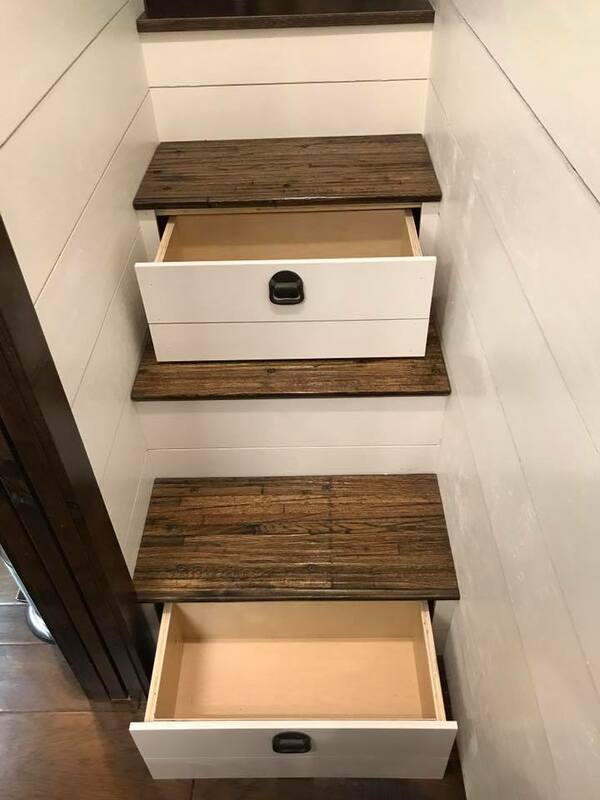 Inside the home is a 365 sq ft interior that makes the most out of its limited space. 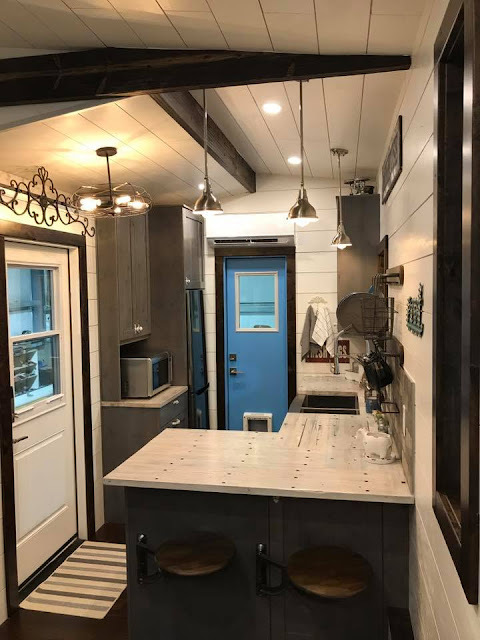 The Empty Nester's kitchen features an L-shaped counter with bar-style dining for two. 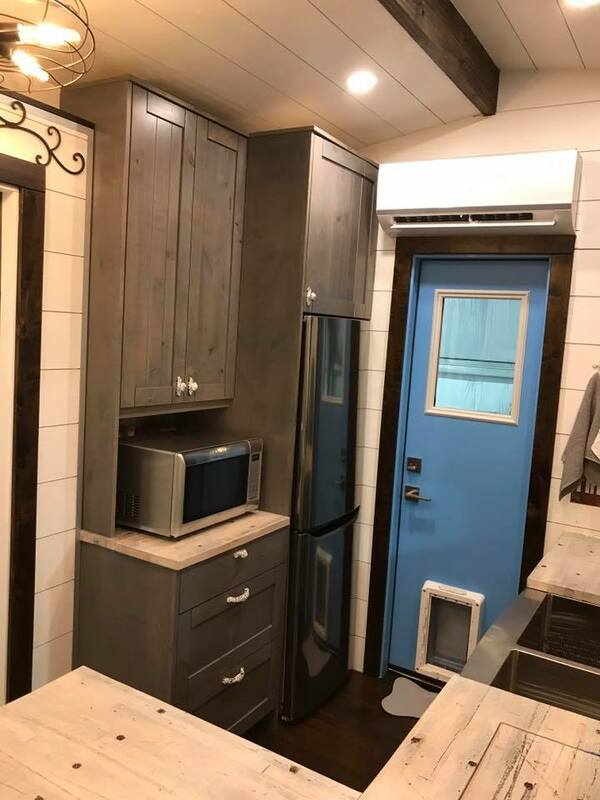 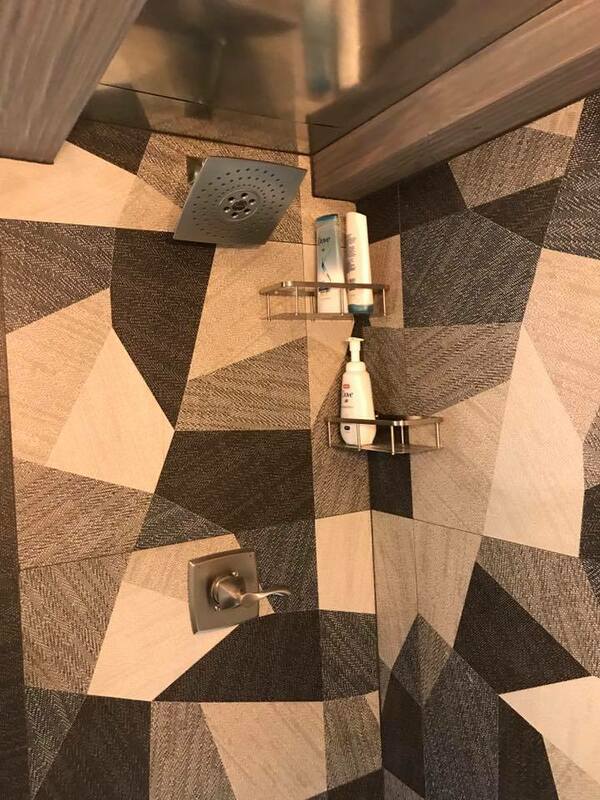 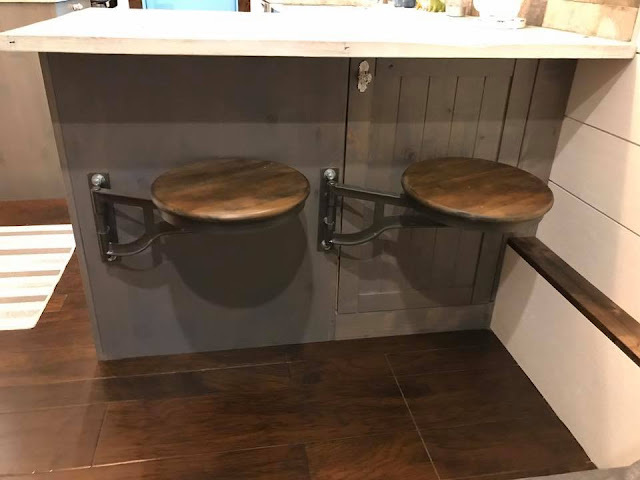 There's also a fridge, microwave, and dishwasher included. 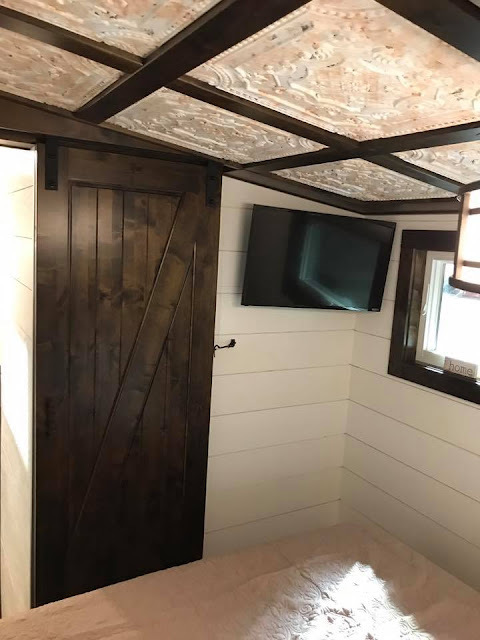 Also available in the home is a living room with a TV and wood burning stove, a bathroom with a washer/dryer, and a loft bedroom. 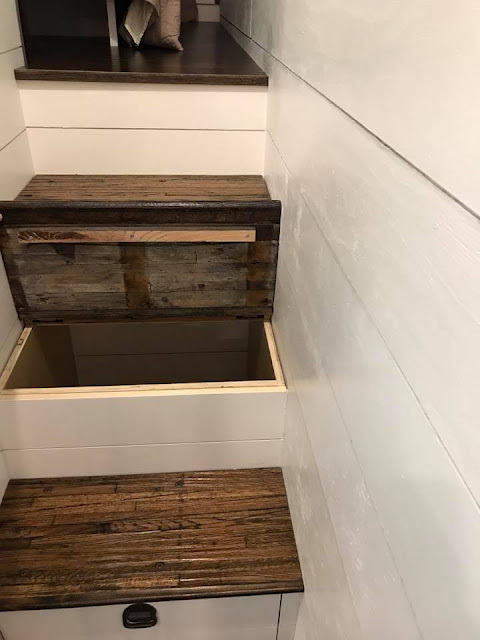 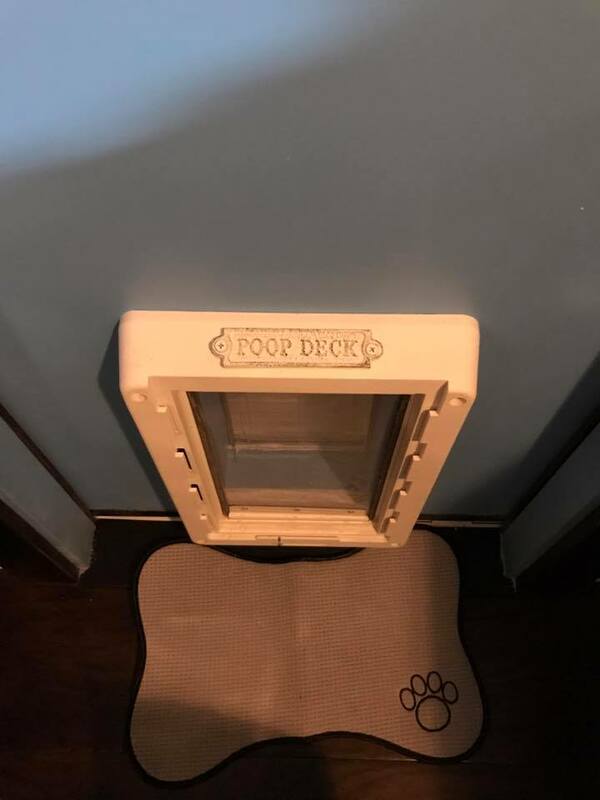 There's even two entrances available- one with a small deck, and a pull-out grill on the exterior! 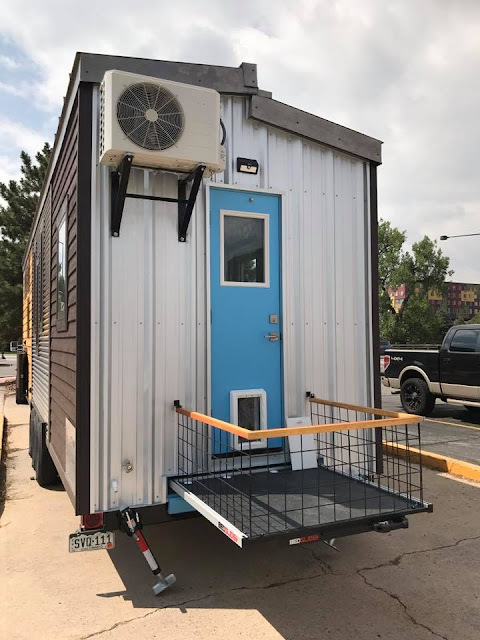 The Empty Nester is currently available for $135,000 in Johnstown, Colorado!